Cicero Calzada has been in his element working at Bunnings, where the store’s catchy pop melodies resonate with his love of ‘80’s music. He’s been dubbed New Zealand’s happiest cleaner and there’s no mistaking that Cicero Calzada loves his work – the evidence being loud and clear. 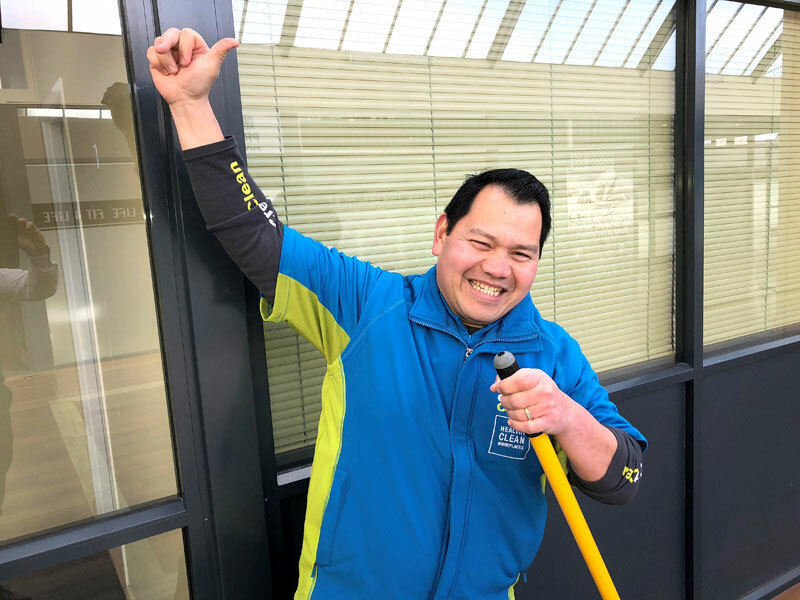 The CrestClean business owner, who just can’t resist breaking into song at every opportunity, appeared on TV Three’s The Project in the show’s weekly roundup of “good news”. Cicero, from Ashburton, was filmed boogying to his favourite songs while he was mopping and polishing. He told The Project’s Kanoa Lloyd he loves singing along to retro tunes as he works, and singing is all part of his Filipino culture. “Groove!”, is the advice Cicero has for viewers when he’s asked how he gets in the mood for cleaning. Since appearing on national TV, Cicero has been overwhelmed by calls and texts from friends and colleagues. 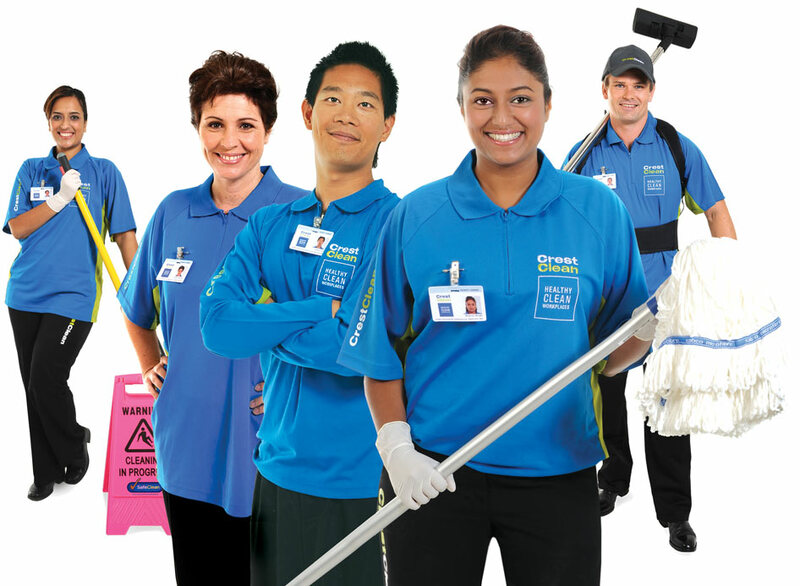 Many of CrestClean’s Ashburton customers have also been singing his praises. Cicero’s boss, CrestClean regional manager Robert Glenie, says Cicero is helping to change the perception that cleaning is a dull and thankless task. Cicero has been in his element cleaning at Bunnings, Ashburton – the retail store’s catchy pop melodies resonating with his love of ‘80s music. When Robert recently dropped in on Cicero at Bunnings it was not hard to track him down, he says. “I saw his car outside so I knew he was onsite somewhere. I headed over to the bathroom area and I could hear a Kenny Rogers number bellowing out of the toilets. Cicero has been a CrestClean business owner for just three months and just loves the work, says Robert. Cicero’s singing and his cheerful disposition has struck a chord with Bunnings staff. Bunnings staff had enjoyed Cicero’s singing – but she wasn’t quite sure how many others had heard him. Cicero, who is originally from the Philippines, says he sings because he’s never been happier in a job. “Any music that I hear and I know I will just sing along with it, especially in Bunnings as they have this great ‘80s and ‘90s music. Cicero recommends everyone should try singing while working. “It makes you feel less tired and it takes away the stress of the day and the time goes past really quickly,” he says. And the benefits Cicero has found are backed up by science. According to research published in Time magazine, singing may release endorphins associated with feelings of pleasure, as well as stimulate the release of oxytocin, a hormone that is found to alleviate anxiety and stress.